For the first time since being elected, the National Government has responded to public pressure by engaging in a public consultation on climate change – with very short notice and limited time to present your views. This is your chance to tell the government in person that their policy of agricultural intensification, expected to increase New Zealand’s greenhouse gas emissions by around 50% over the next 20 years (after they have already increased nearly 50% in the last 20 years) is totally unacceptable. How big business persuaded the New Zealand government to adopt one of the worst climate change policies in the world. 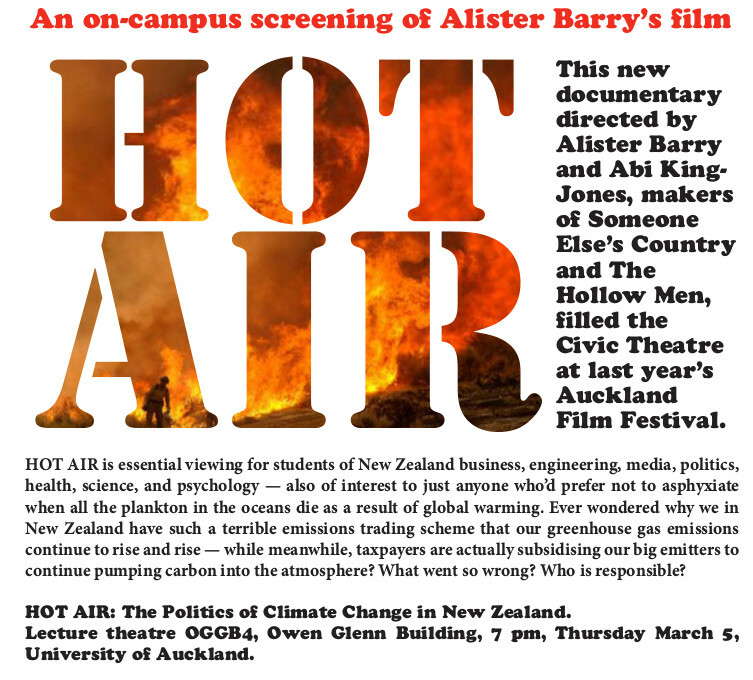 A free documentary screening at OGGB4, Owen Glenn Building, University of Auckland, 5 March 7pm. 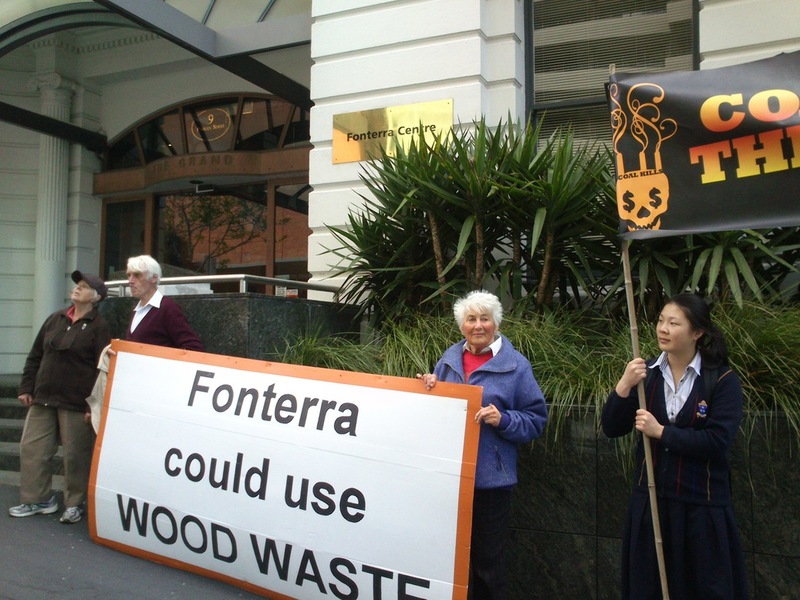 Hosted by Auckland Coal Action and Engineers for Social Responsibility. Donations appreciated. 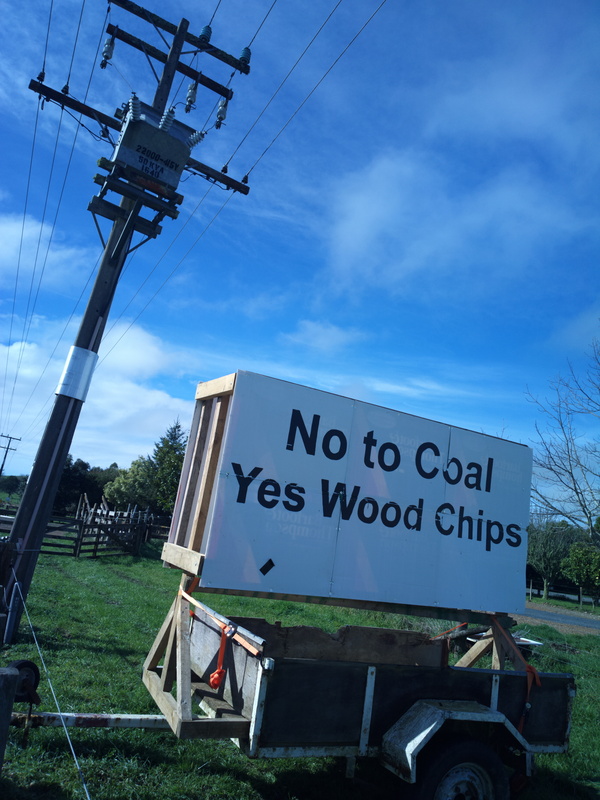 Auckland Coal Action will hold its annual general meeting at the Friends Meeting House, corner of Sylvan Ave and Mt. Eden Road, Mt. Eden at 1pm this Saturday. Anyone with an interest in positive action to prevent climate change is welcome.